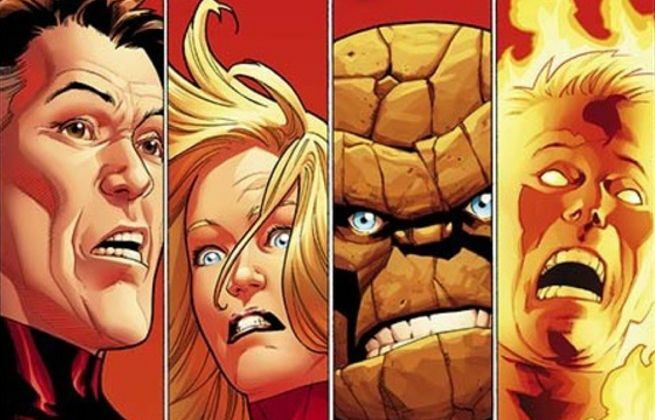 An ongoing rumor in the comic book world has been that Marvel Comics is cancelling the Fantastic Four comic book as a company directive not to support the properties for which Twentieth Century Fox owns the movie rights. In an executive roundtable earlir this week with The Hollywood Reporter, Disney Studios Chairman Alan Horn and Fox Chairman and CEO Jim Gianopulos addressed the Fantastic Four comic cancellation and whether it had anything to do with Fox’s Fantastic Four movie. While there have been several stories to spin out of the executive roundtable, most were things that The Hollywood Reporter highlighted in their write-up on the roundtable. However, the Fantastic Four part was only in the lengthy hour long video and not included in The Hollywood Reporter’s write-up, so it appears to have flown under the radar. When Fox’s Gianopulos was asked during the roundtable if he felt Marvel Comics pulling the Fantastic Four comic was an attempt by Disney’s Marvel to strangle Fox’s Marvel, Gianopulos said, “No, I don’t think so. I don’t know how that decision came about. The comic was not a huge seller. The Fantastic Four is a very established group of characters, and the film is awesome. Yeah, I think…I don’t know how that played into their decision, but it wasn’t…the book wasn’t selling as well as others.” Gianopulos also reiterated that it didn’t matter from their perspective. Fantastic Four is scheduled to be released in movie theaters on August 7, 2015.